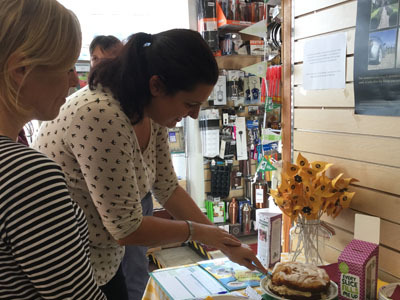 In the early hours of the morning on September the 30th, two Herefordshire based companies came together to host a coffee morning all in aid of raising money for Macmillan – NFU Mutual and Philip Morris & Son. Oh, and what a superb coffee morning we had! The Macmillan organisation was first brought into being in 1911 by Mr Douglas Macmillan. We believe that everyone at Macmillan are truly inspiring, as they stand strongly by the sides of all who have been affected by cancer. Philip Morris & Son and NFU Mutual (Hereford) pulled out all of the stops for our Macmillan Coffee Morning; there were homemade cakes available to munch on left, right, and centre! We also got in touch with local producers; Method Roastery and Trumpers Tea, who supplied the public with freshly ground coffee and enchanting loose leaf tea to help wash down their slices of cake (or chunks of brownie!). This year we decided to go BIG! 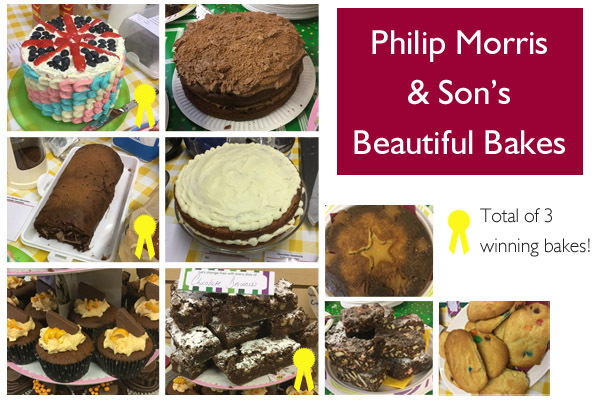 Every year Philip Morris & Son host a private Macmillan Coffee Morning in the staff tearoom; a couple of crafty bakers from each department will bring in their baked goods for all to try. But not this year, oh no, this year was the first time in Philip Morris history where we opened up our doors and allowed the public to come and join us in raising money for such a wonderful cause. Every Wednesday at 8pm is the time to settle down for the night with a cup of tea and a choccy biscuit in front of our television screens, because The Great British Bake Off is about to start! Now is time of year when our TV screens are graced with the presence of Mary Berry, Paul Hollywood, Sue Perkins and Mel Giedroyc – we cannot get enough of this quirky baking show. 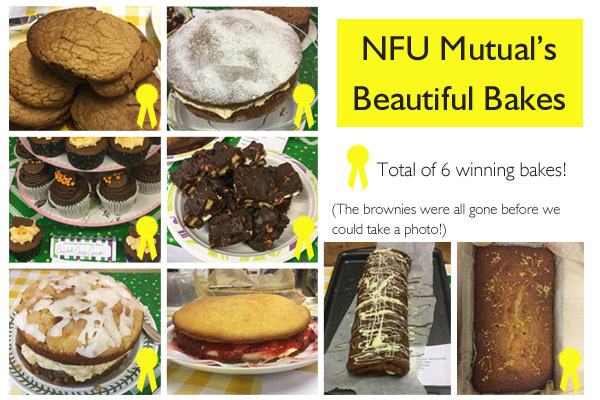 One person from NFU Mutual and one person from Philip Morris would select a bake from the above list and compete head to head to create the best bake. We had our very own lovely judges from the one and only Tandem Bakery in Hereford! They sampled each cake and awarded the winners with a dazzling wooden spoon. NFU Mutual took the lead by an outstanding 6 awards, a very big well done to you all! 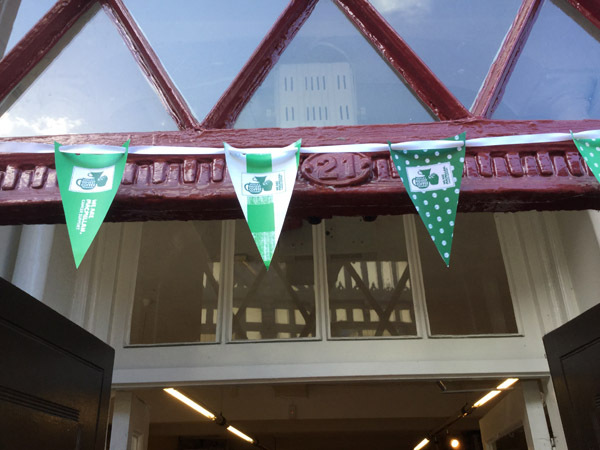 Our Macmillan Coffee Morning was a huge success, so much so that we managed to raise a rather fruitful sum of £283.88! We would like to thank everyone who was involved in the organisation, the bakers, and of course everyone who popped in for a slice of cake and a cuppa. Cake, cake decorating, cake making, Caramelised Pear Upside-Down Cake, Chocolate Brownies, Chocolate Cake, Coffee, Cookies, Lemon Drizzle, Macmillan, Macmillan Coffee Morning, Method Roastery, NFU Mutual, Philip Morris, Philip Morris And Son, Rocky Roads, Roulade, Tandem Bakery, Tea, Terry's Chocolate Orange Cupcakes, Trumpers Tea, Victoria Sponge. Bookmark.